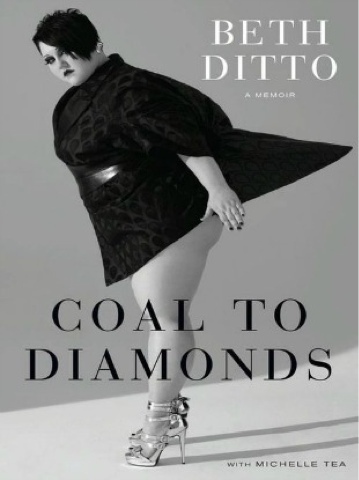 I just finished reading Beth Ditto's memoir, Coal to Diamonds and I thoroughly recommend it. In case you aren't familiar, Ditto is the fabulous, feisty, fat, lesbian lead singer of the band Gossip. In her memoir, Ditto takes an unflinching look at her past and the path that lead her to international success. She begins with a detailed examination of her deeply traumatic past which includes years of abuse both mentally and sexually. She shares how the culture of her home town normalized that behavior and clearly understands how poverty plays a role in the perpetuation of it. Ditto's honest and plain way of examining the violence of her past like this might seem strange to some people unfamiliar with those situations but the tale is all too familiar for others. "I have had a lifetime to adjust to seeing how people treat women who aren’t their idea of beautiful and therefore aren’t their idea of useful, and I had to find ways to become useful to myself." "I often tried to make myself smaller, for survival’s sake. If my body was going to be big, maybe my voice could balance it out and be softer, sweeter, more gracious." "And this is why feminism is so important. When you’re involved in feminist-oriented projects like Rock ’n’ Roll Camp for Girls—or whatever arts festival or political group or zine project you’re involved in—it’s easy to get lost in the big picture or sidetracked by how much hard work there is. But you’ve got to remember you’re doing it for...the coming generations, so they don’t stay ignorant of their own voices and their own creative power in this world." "Self-expression, even feminine self-expression, was not my enemy. The real enemy was the ideals that women are expected to live up to, and suddenly that limited style of feminism just felt like another ideal breathing down my neck." Great stuff all around! It's a very quick and simple read (almost too quick, I wanted more.) Again, I highly recommend it. 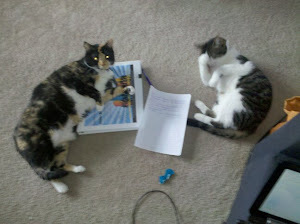 It's a great end-of-summer, or any time read, really.